Laggar Falcon (Falco jugger) feeding on Spiny-tailed Lizard (Uromastyx hardwickii) This bird was photographed at Tal Chapar Wildlife Sanctuary, Rajasthan in September 2012. Read more about this encounter here. 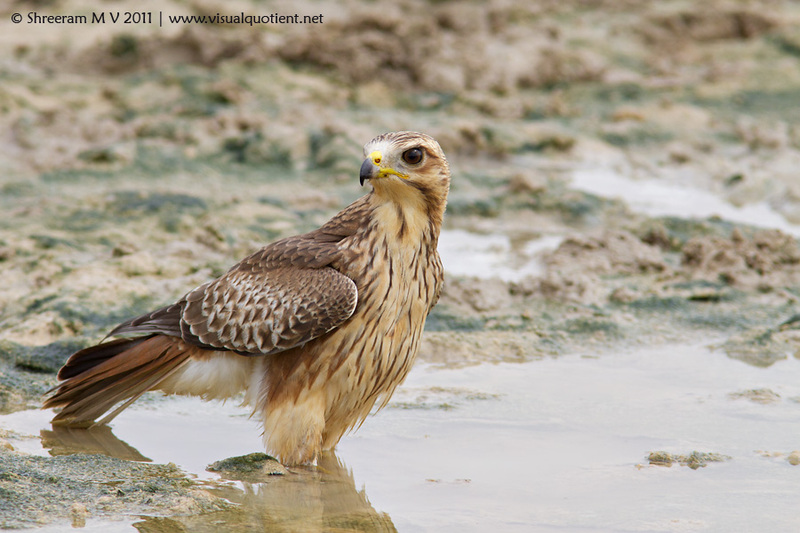 Laggar Falcon (Falco jugger) This bird was photographed at Tal Chapar Wildlife Sanctuary, Rajasthan in September 2012. Read more about this encounter here. Laggar Falcon (Falco jugger) These birds were photographed at Tal Chapar Wildlife Sanctuary, Rajasthan in September 2012. Read more about this encounter here. 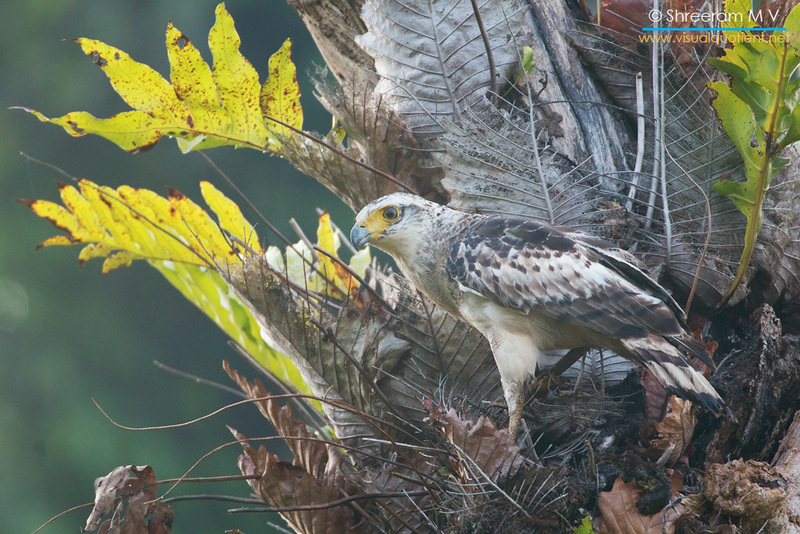 Eastern Imperial Eagle (Aquila heliaca) This large eagle is a winter visitor to parts of North-Western India. A winter visitor from Europe and Central Asia, this majestic bird is seen in Rajasthan and Gujarat. The image is that of a juvenile bird. It had just finished quarreling with a Red-headed Vulture and settled on the tree to warm itself up in the rising sun. 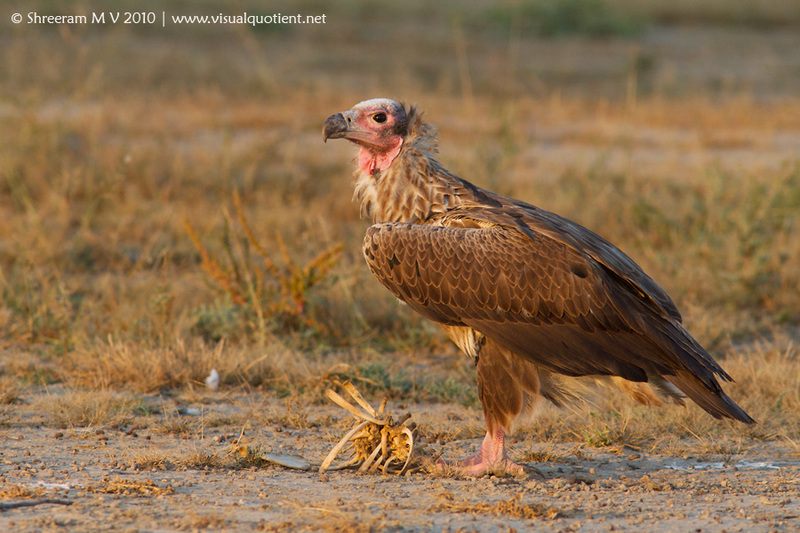 This bird was photographed in Tal Chapar Wildlife Sanctuary, Rajasthan on November 21, 2010. 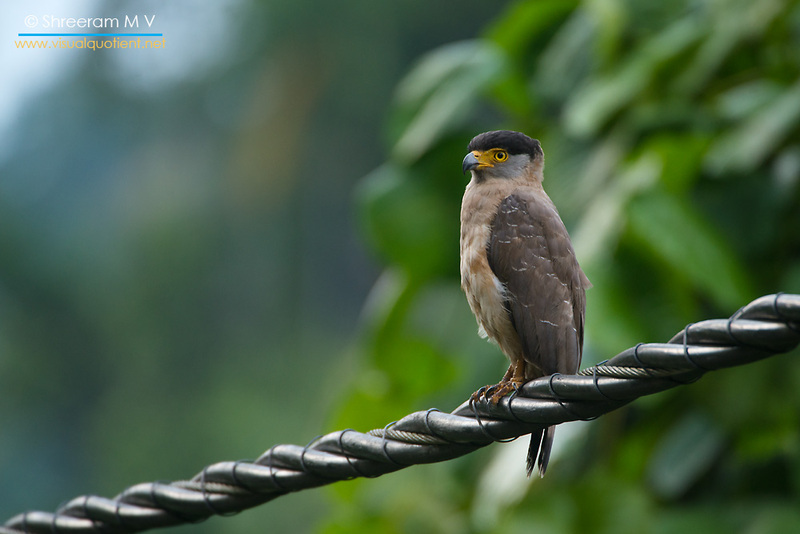 White-eyed Buzzard (Butastur teesa) This resident medium-sized hawk is found in open areas across India. The juveniles (as illustrated in this photograph), have a lighter brown plumage with dark brown eyes. As they mature, the birds acquire a dark-brown plumage and white eyes. 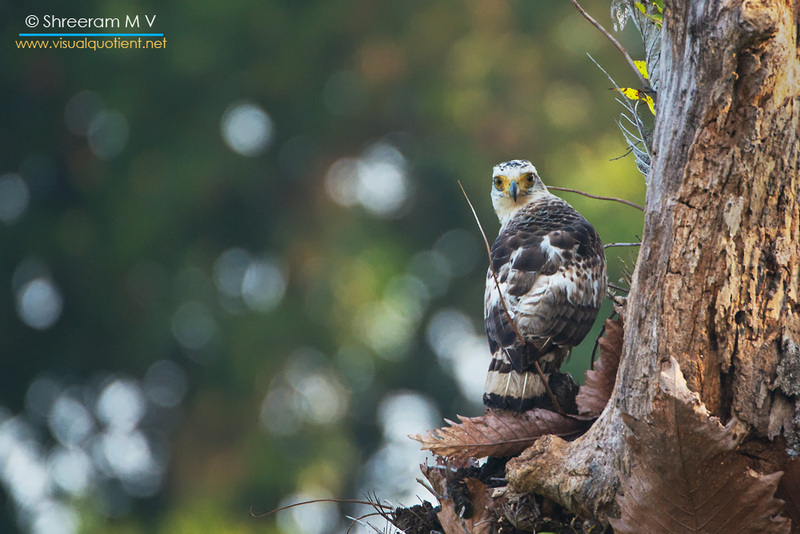 Every year, during the late-summer and monsoon months, hundreds of juvenile White-eyed Buzzards flock to Tal Chapar Wildlife Sanctuary in Rajasthan. 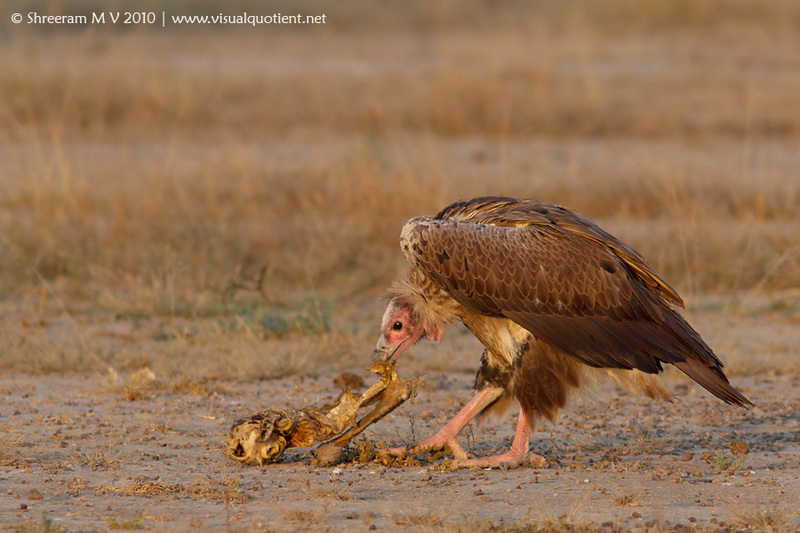 This bird was photographed in Tal Chapar Wildlife Sanctuary, Rajasthan on August 14, 2009. 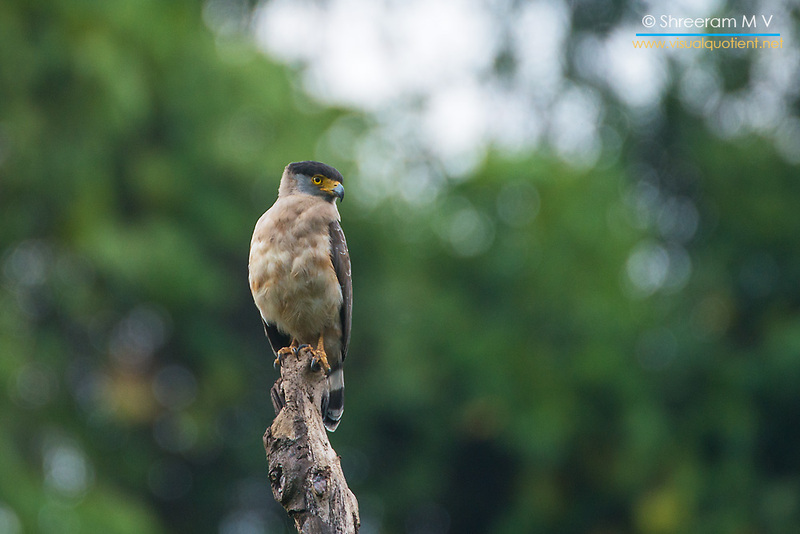 White-eyed Buzzard (Butastur teesa) This resident medium-sized hawk is found in open areas across India. The juveniles (as illustrated in this photograph), have a lighter brown plumage with dark brown eyes. As they mature, the birds acquire a dark-brown plumage and white eyes. Every year, during the late-summer and monsoon months, hundreds of juvenile White-eyed Buzzards flock to Tal Chapar Wildlife Sanctuary in Rajasthan. 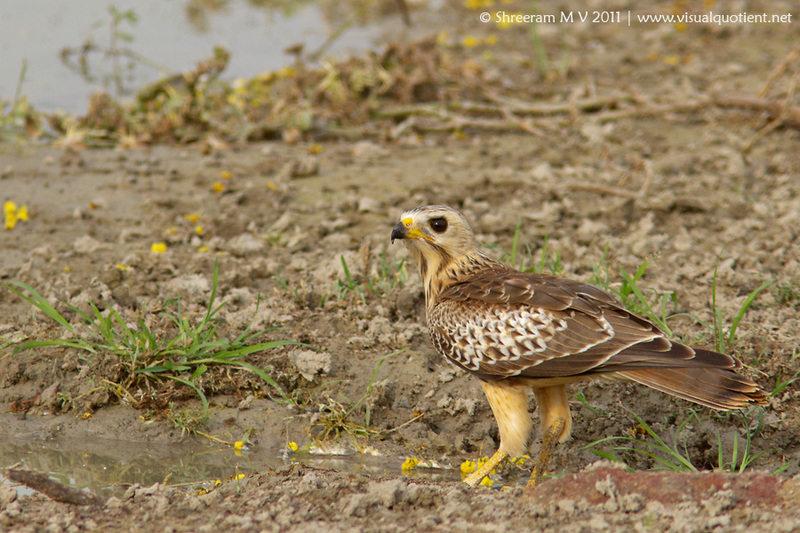 This bird was photographed in Tal Chapar Wildlife Sanctuary, Rajasthan on July 19, 2011.